Rent a Zoom Rollator for the North Phoenix metro area. Our rollator rentals are perfect for mobility and travel. They are lightweight enough for the user to lift and put in their car, yet sturdy enough to support up to 300 lbs. 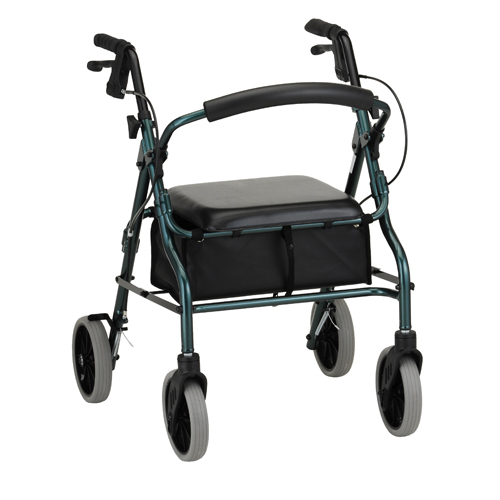 The Zoom series rollator as pictured here makes a great choice for using at doctor’s appointments or events where you will only be out of the house for a few hours. They feature a storage basket underneath the padded seat so that you can carry your essential items with you on the go.